This pattern, Butterick's B5152 '48 Retro robe, is a doozy. 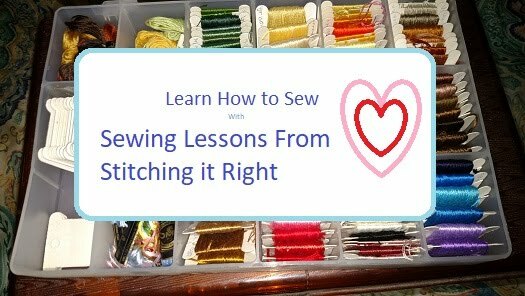 It's labeled as easy, but as someone with a lot of sewing experience, I can tell you, it's NOT easy! From the really strange cutting directions, right through to the last stitch, the directions for this pattern are just plain flawed. Now, I'll be the first to say the design is beautiful, and if you just throw the directions away and put it together, it's doable, but I'll say it again, it's not easy. I'm not going to give workarounds for this one, just because the directions that come with it are such a mess, I wouldn't recommend it, not even to an experienced seamstress. Now, if you already have this retro robe pattern, and you're stuck, leave a comment and I'll do my best to talk you through it, otherwise, pull the directions out of the envelope and read them before you buy it. If you don't understand them in the store, well, it's not going to get better. With some patience, the pattern does provide a sort of general guideline that you can turn into a beautiful robe, but it took a lot of guesswork to turn it into a wearable garment. Have you ever tried this pattern? I would love to hear what you thought of it, or if you have encountered similar problems with any other pattern and would like to share, go for it in the comments section below.